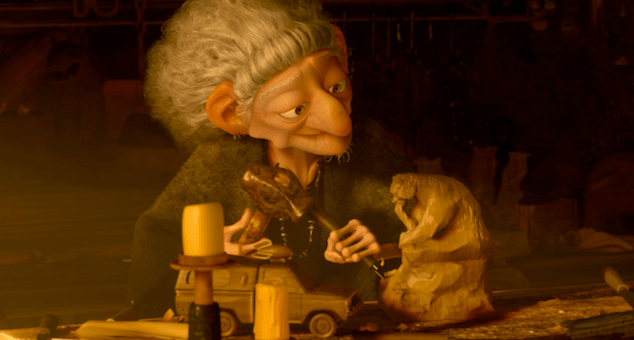 Brave – SPOILERS! I really didn’t know a whole lot about this movie, other than that it was about a Scottish tomboy princess who didn’t want to get married. And that’s a fair amount of what happens, but there’s some conflict beyond that, as well as supernatural elements. I think I did come across a mention that there’s a witch in it, but I didn’t know what her role was. Princess Merida (whose name sounds kind of like “murder” when her father pronounces it) gets along well with her father, who teaches her archery, but she resents her mother’s attempts to make her a proper princess. After suitors from three clans show up to compete for her hand, she runs away and finds the witch, whom she asks to change her mother. She really should have been more specific, as the magic turns her mother into a bear. 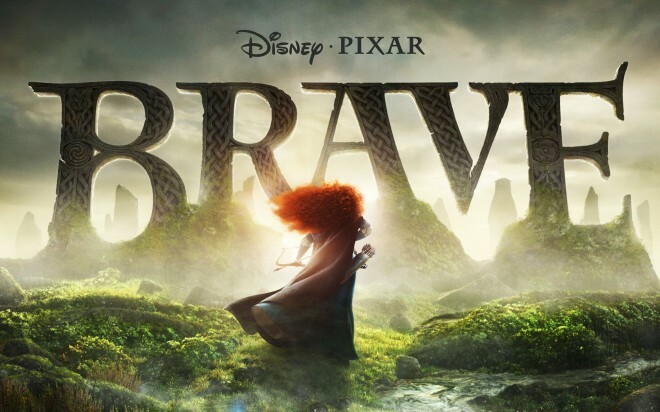 This leads to bonding between the two, as Merida teaches her mom how to survive in the wild. But it’s problematic in that her father, King Fergus, still wants revenge on a giant bear called Mor’du for tearing off one of his legs. Mor’du turns out to be someone else who sought the witch’s help, and was turned into a bear with demonic strength. Eventually, Merida’s love turns her mother back to herself, but since they might never have reconciled without the curse, what’s the lesson there? The funniest part was probably the bit where the witch’s cauldron was set up as an answering system, with different vials of potion to activate menu options. There’s a fair amount of slapstick with the Queen trying not to be noticed while in bear form, and that’s in addition to all the rowdy fighting between the guests at the castle. But could you really have a movie set in Scotland without a brawl? There are also bagpipes, caber tossing, Scottish Deerhounds, and kilt gags. No haggis as far as I could see, although apparently they were originally going to have a haggis-tossing contest in it, at least according to the IMDB. Anyway, I liked it, but I didn’t love it. It was enjoyable, but not much about it really stood out. Merida was a likeable enough character with a strong personality, and it’s nice to see an animated princess with curly hair. The way the hair was animated was really impressive, too. Somehow she became an official Disney princess even though this was made by Pixar instead of Walt Disney Animation Studios, although I’m not sure there’s a whole lot of difference these days anyway. 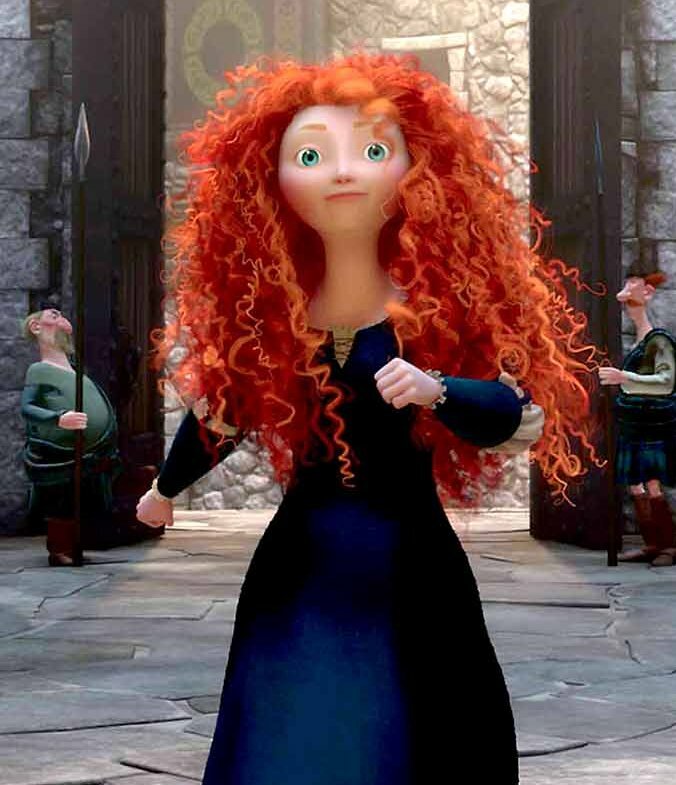 This entry was posted in Cartoons, Families, Humor, Magic, Monsters, Relationships, Revisiting Disney, VoVat Goes to the Movies and tagged bears, brave, king fergus, mor'du, pixar, princess merida, queen elinor, scotland, witches. Bookmark the permalink.